Among the critical revenue tools proposed by Metrolinx for Southern Ontario’s gridlock problem are two that are related to “user-pay”: High Occupancy/Toll (HOT) lanes and Vehicle Miles (or Kilometers) Traveled (VMT) charging. To-date, VMT charging on a wide area basis has not been achieved anywhere in the world, although there have been numerous local and limited approximations. Even the greatest of the handful of European examples are constrained to limited access lanes or to heavy-goods vehicles. 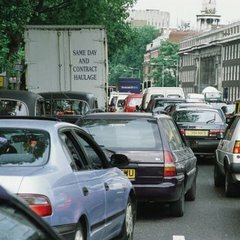 The VMT approach, an ideal solution from the perspective of the transport economist, is often used counter-productively by some political leaders to achieve unrelated goals. It also enjoys little acceptance, and only a modicum of understanding among drivers and taxpayers. VMT charging is a tool we badly need here, but we have not yet prepared ourselves to deploy it in the time frame that funding is needed. HOT lanes, on the other hand, have been deployed successfully in many US locations and meet with much higher acceptance. They have the effect of demonstrating that a portion of drivers are willing to pay for the time saved (i.e., to escape gridlock)—and that those users are not “Lexus drivers”—an epithet we can expect to hear, anyway. There is a useful lesson here. HOT lanes are easier in every regard. If deployed on our 400-series highways, they would have a modest congestion impact and perhaps return some revenue. But more importantly, they would start the shift in acceptance. They would prove that excess HOV capacity can be tolled, that this would relieve the non-HOT lanes, that the users and non-users alike will generally speak well of HOT lanes (after the initial week of operational hiccups as often happens on newly tolled roads!). 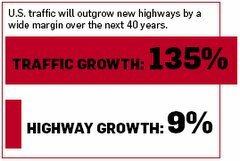 Even more valuable to Ontario is that High Occupancy Vehicle (HOV) lanes on Ontario’s 400-series highways can be readily metered for use as HOT lanes without capital cost to the Government. This is done with wireless in-car location technology and without the use of gantries as are used on the 407 or similar RFID/DSRC installations, such as E-ZPass. This wireless technology, developed in Toronto, uses several sensors including GPS, digital maps of the roadways that are toll-enabled and a body of algorithms to determine which lane a participating vehicle has traveled in each road segment. It can be enforced using mobile license plate recognition cameras mounted on assigned OPP vehicles (spot checking can be managed as a variable cost and can often be more effective). This technology has been developed using the “Privacy-By-Design” principles set out by the Ontario Privacy Commissioner, Ann Cavoukian, and can ensure that location data is fully private to the driver, as it is not necessary to disclose vehicle location to any party in order to ensure correct payment is being made for use of the lane(s). What this this means is that 400-series HOT lanes can start in 2013. A pilot of several hundred or a few thousand vehicles, offered to volunteers who pay for access would allow the Government, without capital cost, to test many elements: driver acceptance, variable pricing, privacy management, license-plate enforcement, signage, etc. It would also afford ample opportunity to observe media and political response, while being able to halt or redirect the pilot without loss of capital. Such an approach can enable Metrolinx to start gradually, to adjust, to fill in the existing HOV capacity without capital outlay on roadside infrastructure and to work out the path toward VMT charging over the ensuing years. If the way is so safe, there is no reason not to start. Is the Big Move really the Big Lie? “Is the Big Move really theBig Lie?” is how Tess Kalinowski, Transportation reporter for The Toronto Star, opened her 2013.02.28 article “From Oakville, big questions about the Big Move”. Kalinowski reports that Oakville’s Mayor Rob Burton is questioning a few things about Metrolinx’s Big Move. On one hand he is miffed that Toronto’s Mayor Rob Ford “won’t support transit taxes or tolls” and that at one particular meeting when Ford expressed his lack of support, Burton “was rendered “speechless” when nobody at the meeting challenged Toronto’s mayor”. Of course there are several other proposals afloat to raise money for The Big Move, so being anti-tolls is not necessarily anti-Big Move. Most politicians are anti-tolls because they believe tolls are negatively correlated with votes. 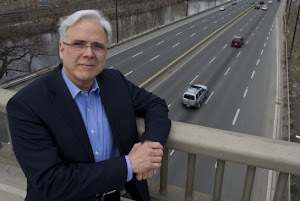 Even John Tory, now pro-tolling was anti-tolling when running against David Miller in 2003—a position for which he has since publically expressed regret. Perhaps, Burton is on to something. Assuming The Big Move was “the best we could do” when it was published in November of 2008, we are now over four years later, and still with no resolution to the funding problem. I wonder, if it were re-planned now whether it might indeed change a bit. But more interestingly, there is now some reason to believe that the Big Move may soon be dramatically out of date. 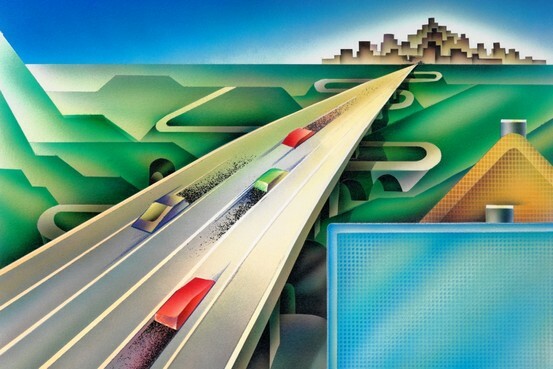 Those who observe the progress of the autonomous vehicle—the driverless car—are saying we should expect this technology to start to impact infrastructure investment in the next decade. 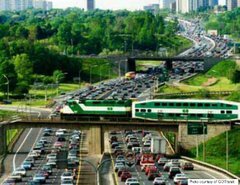 While the GTHA has clearly under-invested in transportation infrastructure for nearly three decades and many, including Burton, believe that this $50 billion only means that “traffic congestion and transit won’t get any worse,” it is likely the case that with a new 'The Big Move II' (published circa 2015), $50 billion would indeed do far more for the GTHA than would the 2008 plan. "…it is important that strategic plans of this nature recognize that spiraling advances in technology will continue to present both opportunities and challenges that will require revisiting of the plan on a regular basis. The public consultation process brought to the attention of administration a potential “game-changing” technology that could affect not only transit but the entire transportation spectrum in the foreseeable future. This technology is the self-driving vehicle. Such technology is already at a significant level of development and its impact should not be underestimated. As technologies such as this continue to evolve play a greater role in society, it will be important to recognize the opportunities they present, and to attempt to foresee the impact on future capital and operating investments - to take full advantage of the opportunities to improve the community experience for the residents of St. Albert." — City of St. Albert Transit Long Term Department Plan2013-2027 (2013.02.04). Mayor Burton’s "Can we really not make it better?” is more prescient than he, or Metrolinx, or the Province, or the Star’s readers may be aware. Anyway, both developments will erode the fuel tax further, so now what? The autonomous car had better learn more about potholes. Peak Car? China says "not yet". Peak Car is more likely to be related to an automotive-ownership saturation level given a particular configuration of wealth, age and other demographic components. In countries such as the US and UK and Australia that number hovers around .7 (700/1000 pop) and is currently flat. Some hope it will climb given an economic recovery, some pray for permanent decline or at least continued stagnation. It does make sense that there would be a ceiling to automotive use—at least on a per capita basis. And something under .75, given the portion of a population under driving age or over driving capability, seems reasonable (as a guess, I mean, not for our cities). Regardless of where such a ceiling might be, the rest of the world, (especially China) still wants to get to that lofty place. 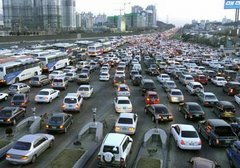 (more china news re traffic) Hence Two Billion Cars is the near-term prediction, hoping and praying aside. If the Sperling-Gordon "doubling" prediction is off the mark, it will be off only by a couple of years. Most of us think only about our car or the cars in our neighborhood or city. But the matter of automobility is much larger as it addresses a critical human and urban need. Wishing it would get fixed or go away won't make it so. 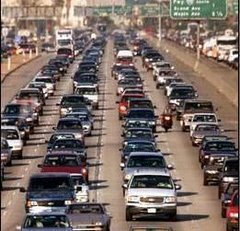 You may personally have more or less use for an automobile. You may arrange your life to use very little or over much. But world vehicle population will double—likely in less than 20 years. A colleague from the D.C. area who is an expert in road finance wrote an insightful, concise and sobering note about Public-Private Partnerships. As I have written before about monetization of Toronto’s parking assets, and as I have found myself defending Ontario's 407, I found this valuable. With Dan’s permission, I share this unaltered and unabridged. "The relevance of the Many Faces of Public-Private Partnerships piece to road or congestion pricing is that many believe that P3s are the best way to implement road pricing on new alignment or HOT lanes. If so, it is best they understand the way certain detractors may use the negative rhetoric about P3s to undo worthy road pricing initiatives." Let me begin by noting that I am a strong supporter of public-private collaboration to help address the fiscal and infrastructure needs of our nation. However this support is predicated on having both public sector and private sector participants benefit from the arrangement relative to the degree to which they each contribute to its success. In addition, such an arrangement should be made in a fully transparent manner with the respective parties held accountable for their responsibilities and promised results. When politicians and public officials turn to the private sector (including investment-banking firms and venture capitalists) to help them finance public use infrastructure as part of a public-private partnership (P3), it is prudent to understand the short-term motives and the long-term consequences of these deals before they are finalized. This paper discusses the various ways in which P3s can be viewed, depending on the nature of the deal, the roles and responsibilities of all parties to the deal, and the point of view of those assessing the deal. Understanding these differing views can help private firms become better positioned to successfully compete in the emerging and rapidly changing marketplace for P3s. Public-private partnerships are often touted as a panacea for addressing the transportation infrastructure needs of states and municipalities facing fiscal challenges during the continuing Great Recession. Proponents of P3s point to enhanced access to private capital as a major benefit of these arrangements. They paint P3 teams as White Knights able to rescue needed but fiscal-constrained infrastructure projects by providing ready access to financing, innovative project delivery, and cost-effective life-cycle asset management. These are the major advantages of successful P3s. Unfortunately most public sector agencies are unable to apply these processes to gain these benefits for their constituents since their time horizons for infrastructure management are much shorter than the service lives of these assets. In some P3 contracts, the concessionaire teams are asked to provide a sizable up-front concession fee in return for assuming control of public use infrastructure assets through long-term leases supported by tolls or other revenues. These deals inevitably involve a long-term repayment schedule that is significantly more than if the sponsoring public entities financed the projects using tax-exempt public bonds. This is because private consortia will only do a P3 deal if they are relatively sure that the project can generate the level of proceeds to more than cover the up-front payment; their own capital, operating, and maintenance costs, and an acceptable rate of return on the investment made by the financing members of the P3 team. The revenue potential of the facility under private management must be significant since the rates of return on private capital are much higher than interest rates associated with tax-exempt bonds, typically by 300 to 400 basis points (for example 6.2% versus 10.0%). Those who oppose P3s out of concern that the private sector will make a profit on the deal fail to realize that when it comes to private financing, the profit motive is what makes these deals possible. In all but the most altruistic cases, the Pied Pipers of capital finance expect to be paid for their services. A particular problem arises when the up-front proceeds from a P3 concession payment are diverted to other unrelated purposes. This occurred in 2006 when the City of Chicago leased its rights to the Chicago Skyway and it’s future toll revenues to a P3 consortium of Spanish and Australian firms for 99 years in return for an up-front cash payment of $1.83 billion. In this case, the only transportation-related use of concession proceeds was for the City’s Meals-on-Wheels program. None of the up-front payment was dedicated to any other transportation projects or services, except to pay off the remaining City debt on the Skyway itself. As a kind of Robin Hood, the City of Chicago took the proceeds from the Skyway lease and distributed it to a wide variety of social programs and causes. At the time, residents of Chicago did not pay much attention to this deal, even when it promised to significantly increase tolls on the Skyway. This was because most users of the Skyway, who would pay these higher tolls, lived in Indiana. Like a commuter tax, Chicago effectively tolled the citizens of Indiana to pay for social programs benefitting the citizens of Chicago. To public officials desperate for fiscal relief, P3s could appear like the alchemists’ dream of turning lead (i.e., current debt, deteriorated infrastructure) into gold (i.e., debt relief, rehabilitated or new infrastructure). The reality is that these deals generally rely on a transfer of future revenues to the private sector that is better able to take the risks and secure the benefits of long-term asset stewardship. Since the public sector is typically unable to generate these future proceeds from their maturing public-use infrastructure, today’s public officials are more likely to embrace P3s by swapping a much larger revenue stream that will take decades to accrue for a smaller but immediate capital infusion in the form of an up-front concession payment. The history of transportation infrastructure is replete with examples of megaprojects predicated on overly optimistic projections of public use and benefits and grossly underestimated estimates of costs. By the time the actual usage and costs are known, these projects are too far along to be stopped. Another 10-15 years must elapse before the induced economic development spawned by these megaprojects is realized. Likewise, the negative consequences of P3 agreements generally only become apparent long after the dealmakers leave office. When these arrangements enable opportunistic officials to lease out existing public use infrastructure for many decades, future generations may be denied access to windfall revenues these assets might generate over the long term. In such cases, those public officials responsible for pushing through these quick cash-out deals, their current constituents, and their private sector partners may be the only ones who benefit financially from these agreements. Subsequent generations may be left to feel the gambler’s remorse resulting from these deals. 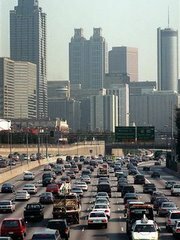 If P3s are Trojan Horses designed only to enable private interests to assume responsibility for public infrastructure assets where profit and return-on-investment are their primary concern, we may see the wholesale transfer of the nation’s most critical and strategic highways to international consortia accountable only to their investors or stockholders. As the saying goes, Beware of Greeks Bearing Gifts. Pubic stakeholders will be better served if they fully understand the nature and details of these agreements as they evolve over the short term and mature over the long term. The public will be best served when P3 contracts are developed and executed in a fully transparent manner, with all participants held accountable for their respective contractual commitments throughout the terms of these agreements. Private sector firms interested in pursuing P3 opportunities in this country will be better prepared and more successful if they understand how different stakeholder groups view P3s. It is only by first understanding the diverse and sometimes contrary perspectives of both advocates and detractors of P3s that private sector firms can take the appropriate actions to be successful in pursuing these innovative financing and project delivery approaches over the long term, to the mutual benefit of the public and private enterprise. Con: Will driverless cars abolish buses? Winston is also half right to claim: No worries about rush hour, vacation congestion, bad drivers, speed traps and accidents." Urban rush hour trauma and congestion would be reduced. 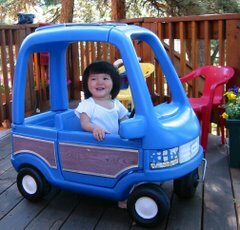 The cessation of bad driving (on whose definition?) will take a long period of attrition, but one interesting idea might be to suspend driver licenses for “bad drivers” for a year constraining such drivers to a SDV for that year. Perhaps onerous to some it would be life-changing and even life-saving for others. The same with “no accidents”. There would be fewer—many fewer, eventually—but zero would be unlikely. When I saw “speed traps” listed among the bad bits such as "rush hour", "congestion", "bad drivers" and "accidents", I first recalled the Sesame Street jingle: "One-of-these-things-don't-belong-together…", then I wondered if that provides us with a hint of an opportunistic attribute of Winston’s own driving? I think Winston’s concern that “one-third of the nation's highways are still in poor or mediocre condition” is both exaggerated and in no way a showstopper with respect to the SDV. The SDV’s lead designer, Sebastian Thrun has admitted that the work is not done—specifically listing the challenges of driving in snow, construction zones and “avoiding a mattress on the roadway”. I am certain he or someone will solve the pothole problem. Thrun started on this in 2005 and has accomplished a lot in eight years (actually the early vision of the SDV goes back to the 1939 World’s Fair, and was electric, no less). Thrun has been clear that the “car will be ready when the car is ready”, so he and Google (and several other competitors) will not rush-to-release a technology that would be unsafe or trip on potholes—nor would they be allowed to do so. Nonetheless, the SDV will suffer from the same problem as does commercial air carriers—while far safer than human operated cars, they will be held to a far higher standard. And Thrun knows that, too. Winston’s proposal to build a whole new infrastructure is alarming. Any scheme that puts two different roadbed compression strengths in adjacent lanes is especially misguided as a simple lane departure of a heavy vehicle could cause tremendous damage. If his intention is that such lanes be physically grade separated, then flexibility would be greatly reduced and the tiny portion of the network that would then avail to SDVs would greatly restrict their movement. If we can’t get people to buy EVs with restricted ranges why would they buy SDVs with restricted routes? Sounds like the bus to me. And to imagine that because of this separation “driverless cars … would not have to distinguish between cars and trucks” is a terrifying idea. Would you agree to be whisked along in a robotic car that could not distinguish among vehicle sizes, one of the simplest of robotic vision feats? Count me out. The illustration accompanying Clifford Winston's article is misleading. This shows a car on a guided runway, not an autonomous vehicle. The SDV will operate on the existing infrastructure and an internal map can keep if off any parts of the network that would put vehicle or rider(s) at risk. Even the signal timing problems can be addressed partly by fixing some critical parts and adapting the vehicles to others. Consider that as the SDV fleet grows, learning algorithms that use massive quantities of trip data (such as do those used by INRIX to map country-wide congestion in near-real time) can get very smart. They could easily prioritize which of the signal timings need most urgent fixing. Not to lose sight of the key value of Winston’s message, however, he is 100% right that more would be achieved per SDV dollar than per heavy rail dollar, although both are needed. The Stintz - De Baeremaeker “OneCity” plan for Toronto Transit got a B+ from former Toronto chief planner Paul Bedford and urban designer and author Ken Greenberg. On a story by the Star’s Tess Kalinowski on 2012 07 06, “Bedford thinks OneCity is still too reliant on senior governments to provide two-thirds of the projected $30 billion cost." Ken Greenberg’s understatement: “The politics that could thwart the latest and among the boldest transit visions to come before the city in years, are inevitable,” is correct. And this is unfortunately to be expected in the merry-go-round transportation conversation we have going for the GTHA. That’s 50 cents per homeowner per day. Proper parking reform—and I am not referring to the cost-of-living increase on the GreenP machines that is expected soon—could easily cover half of that, while reducing urban congestion at the same time. Increasing property tax increases land rents, and that tends to discourage people from moving closer to the center as some urbanists think they should do. 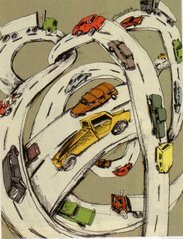 Anything that moves or keeps people farther from the center increases the use of automobiles. “Why should my parking money fund transit?” demands my neighbor. 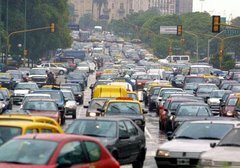 One could think of increased transit use as a way to increase existing roadway capacity, since congestion reduces performance. Whether we use parking revenues or fuel-tax revenues to fund roads or transit, either is better than being heavily reliant on property taxes. …while being careful to watch for the rise of anti-parking ticket rebels, here. A key effect of many parking policies—and some of this is largely unintended—is to diminish our choices. I use the expression “diminish” in both senses. Our parking policies sometimes give us fewer choices, but more often they bias our choices in ways we do not often recognize. One example is employer-subsidized parking. If I have cheap or free parking at my place of employment, I am more likely to use my car. While I haven't been completely denied the choice to use transit or a bike, the fact that I have free or cheap parking makes the selection of those other modalities more unlikely than they already are. Another example is street parking that is dramatically less expensive than nearby garage parking. In this case, while I still have the choice to use garage parking, the low cost on the street encourages me to cruise around the block—an average of 3.5 minutes according to parking guru Don Shoup—to find a cheap spot. Again my choice is strongly biased by a parking policy. A third example is a policy that permits monthly parking (or better put, the lack of a policy which forbids the practice). In this case, given a choice of a discounted monthly parking pass versus paying the full daily rate, it is easy for me to purchase the monthly pass. What this means, however, is that during the month, if faced with a choice of, say, carpooling, biking or an SOV, I would be more likely to choose to drive. There are individual remedies for each of these. Regional or municipal governments could mandate a “parking cash-out”, i.e., an equivalent subsidy to all employees to offset employer-subsidized parking. For example, having non-driving employees receive an equivalent cash subsidy that may be used for transit, bike, shoes, gas money toward a carpool, or offsetting internet costs for teleworkers, would reduce the automaticity of driving for some people. This increases each employee's choice, and still provides for employer subsidized parking which in itself is not necessarily a bad thing—as long as it's balanced. Cruising for street parking can easily be managed by setting prices so that there is a 15% vacancy rate for parking spots. This is another Shoup solution and ends the cruising problem, while not needing to match garage prices (garages have a different role to play than does street parking, anyway). Monthly parking is a bit tougher, since it makes sense to know you have a spot for your vehicle if you are indeed going to drive into your office each day, or if we are talking about the condo building you live in. However, it is possible to replace monthly passes with some form of parking loyalty program or bulk purchase program. Rather than purchase a parking pass for a calendar month, purchase 200 hours of parking at a bulk rate and there is no need to spend it all in a particular month. In fact, employees could be rewarded for making the 200 hours last longer! This would free up some people to make divergent modal choices, since the value of the parking pass is not ticking away if they choose not to drive. There are numerous ways to make parking policy fairer and more responsible to the environment and to our cities. As well, tweaks to parking policy, such as I have described, are not nearly as politically toxic as road-use charging, but can, if deployed thoughtfully, can lead to similar congestion-reducing results. Unfortunately, many of them are not readily apparent. 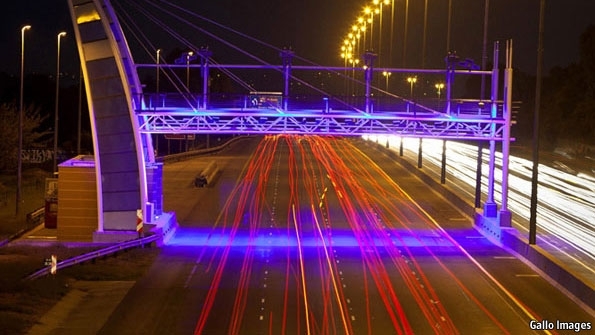 In Gauteng Province (South Africa) an ambitious and expensive toll road scheme has been put on indefinite hold 2-days before its launch due to popular, trade union, business leader, and Automobile Association protest according to The Economist (It doesn’t toll for thee 2012.05.12). This will have significant financial repercussions for the road authority and the government. In easy hindsight, there is little surprise this happened. Road operators are in desperate need for funding the world over. And roads get more congested every day. But installing a one-size-fits-all tolling system on a pre-existing road network does not go down easily. However necessary for any number of reasons, this indeed “represents the state’s bullying power” as The Economist bluntly put it. Adding new lanes and tolling them as high-occupancy/toll (HOT) lanes for discretionary use meets little resistance. But tolling major routes that have few or diminished alternatives would generally be received poorly. People who have had free access to roadways for as long as they remember, expect free access to remain available as long as they live. In behavioral economics lingo, they are “anchored” to a road-price of zero. You can’t just start charging US 12 cents per mile on a Monday at 12:01am, which is what was to happen in Gauteng. Phase in gradual fuel duty increases over a few years expressly to pay for new or repaired roads. Preannounce the full plan to give users time to adjust (move, renegotiate contracts, different vehicle, etc.). This will be difficult enough. Concurrently provide a voluntary choice: pay the newly increased fuel tax or use an autonomous, in-vehicle, time-and-place of use meter to trade road tolls for a fuel tax rebate (calculated by the same meter). Arrange the road prices (stored in the personal in-vehicle meter’s “pricemap”) to have drivers who avoid congestion save money with the meter and other drivers to pay about the same as the fuel tax. Then be sure that the smart in-vehicle meter offers several additional features that those self-selected drivers would like (reduced insurance premiums, parking conveniences and discounts, etc). The trick is (again according to behavioral economists) to provide at least twice the perceived value to the driver than the perceived cost (nuisance, money, trouble) of using the meter. This is technically easy to do (including privacy, security and reliability), but needs policy that encourages usage-based insurance and permits wireless parking management and perhaps behavioral rewards for safety, emissions, and the like. Without associated value-added services and incentives with benefits that counterbalance this type of increasingly needed tolling, governments are not offering a vote-worthy solution. What we are missing are policies to incent innovation and permit voluntary migration. We need a telemetrics-payment ecosystem that allows driver services to move metering away from one-size-fits-all gantries for users with a variety of needs. “Relying on the gas tax is like relying on cardboard to keep the rain out – the longer you use it the less it works.” — Mary Peters, U.S. Secretary of Transportation, October 2008.